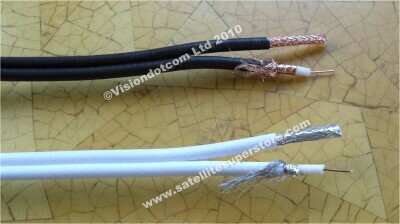 is Astra 2 and Astra 1 you can use if for those 2 satellites only. neat and uses the 40mm clamp on your dish to hold one of the three LNBs. A spacer is included for the 40mm clamp. support clamp shaving off (trimming) to squeeze the clamp through the gaps to hold the LNB in the monoblock. The Inverto LNBs and monoblocks have an excellent repution on many "review" or "forum" web sites. 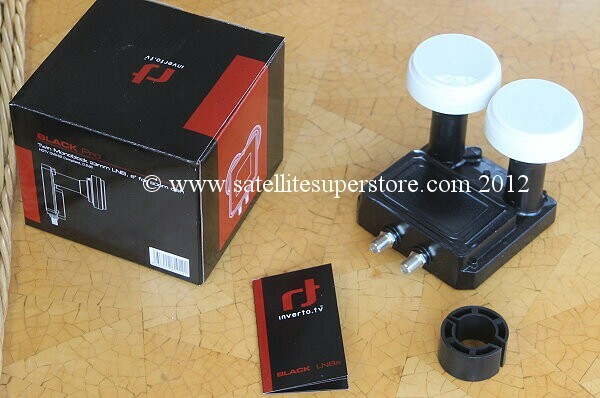 High build quality and designed to work well in poor signal areas. Ideal for Astra and Hotbird at 19E and 13E or any two satellites that are 6 degrees apart. 2 way Diseqc switch built in. 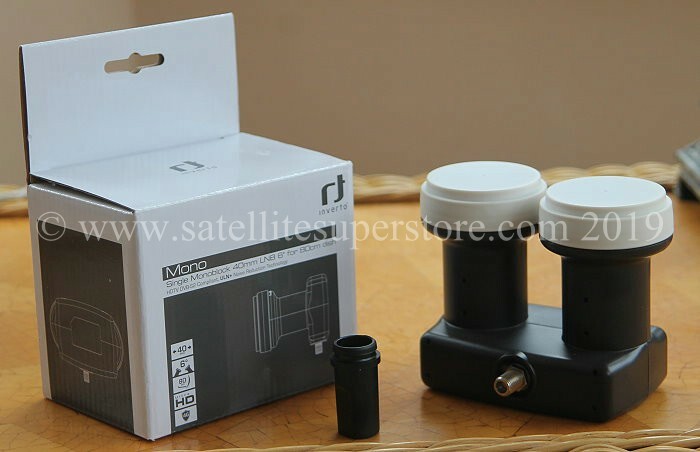 This monoblock is very neat and uses the 40mm clamp of the dish to hold one of the two LNBs. Weather boot included. Very quick and easy to fit and set up. Excellent price for a high quality brandname product. 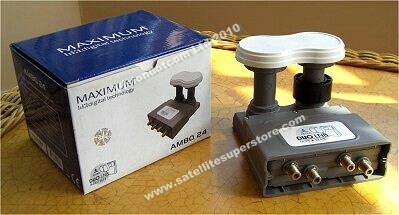 2 outputs - Can be used with 2 single tuner satellite receivers or one twin tuner satellite receivers. 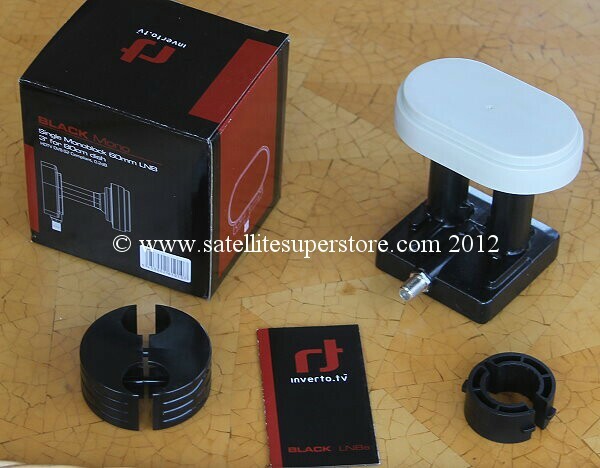 Ideal for Astra and Hotbird at 19E and 13E or any two satellites that are 6 degrees apart. 2X 2 way Diseqc switches built in. 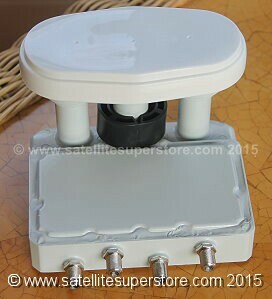 This monoblock is very neat and uses the 40mm clamp of the dish to hold one of the two LNBs. 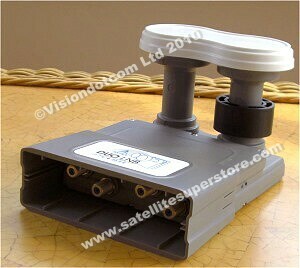 4 outputs - Can be used with 4 single tuner satellite receivers or two twin tuner satellite receivers. 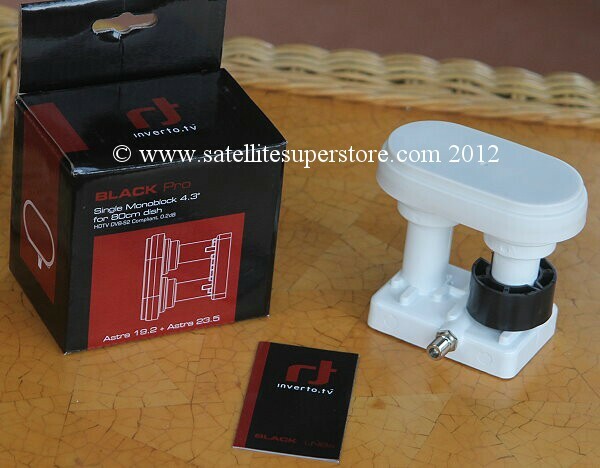 Ideal for Astra and Hotbird at 19E and 13E or any two satellites that are 6 degrees apart. 4X 2 way Diseqc switches built in. 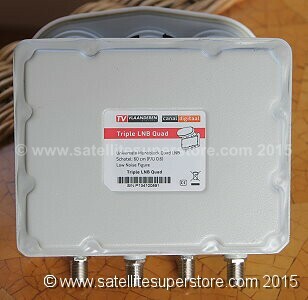 Ideal for 9E and Hotbird at 19E and 13E or other satellites which are 4 to 4.5 degrees apart. Also ideal for 19E and 23.5E and other combinations. 2 way Diseqc switch built in. "What Satellite" magazine. It received a gold award. Ideal for 9E and Hotbird at 13E, 19E and 23.5E and other combinations. 2 way Diseqc switch built in. 0.1dB. 4 outputs for up to 4 receivers. Ideal for 9E and Hotbird at 13E, 19E and 23.5E and other combinations. 2 way Diseqc switches built in. 0.2dB. A cover comes down over the connections. Ideal for 16E and 13E OR 16E and 19E or any two satellites that are 3 degrees apart. 2 way Diseqc switches built in. 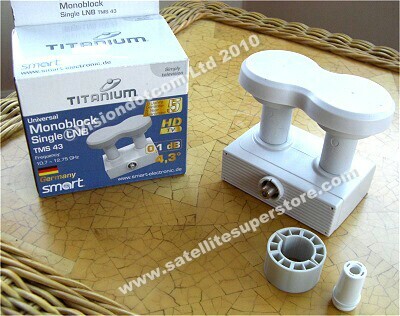 Note - many 3 degree single monoblocks being sold today only come with a 60mm spacer and they will NOT fit most dishes. so that it will fit standard dishes. 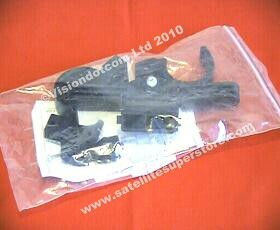 40mm LNB clamps are the normal clamps on all standard offset dishes sold today. Ideal for 16E and 13E OR 16E and 19E or any two satellites that are 3 degrees apart. 2X 2 way Diseqc switches built in. 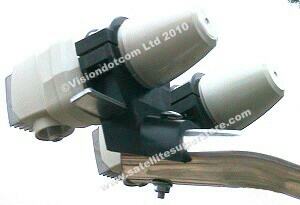 This bracket will fit both rectangular and circular LNB support arms. 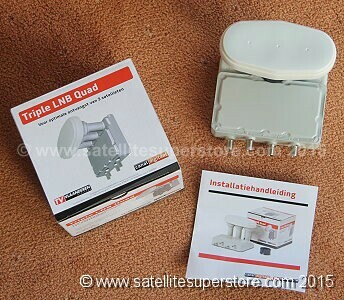 Fit two LNBs in this bracket to receive 2 satellites. included. Two LNBs are needed and a 2-way Diseqc switch. For 3 degrees apart use two Inverto narrow feed LNBs. Also ideal for the Lenson Heath range of dishes. 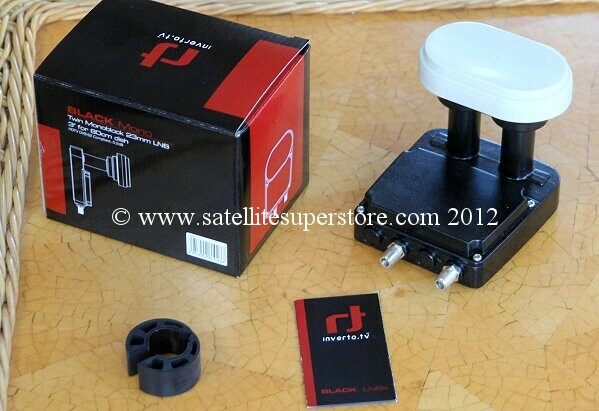 Ideal for satellites that are only 3 degrees appart. e.g. 13E and 16E or 16E and 19E. receive 2 satellites. 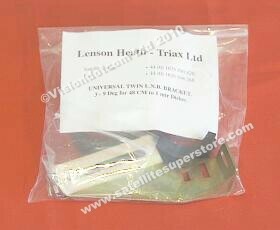 Designed to fit the Triax TD range of dishes. Two LNBs are also needed and a 2-way Diseqc switch. For 3 degrees apart use two Inverto narrow feed LNBs. Triax 3-6 degree bracket for the TD dishes. Triax flexiblock. Click here. Only available with the clear dish. 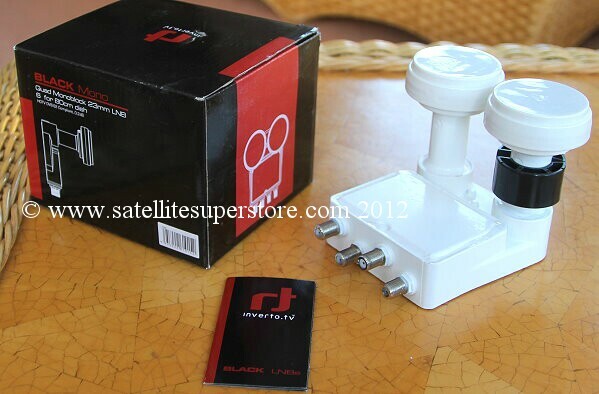 it is possible to receive from Astra 2 to the Hotbird on one fixed dish. We have tested this ourselves. 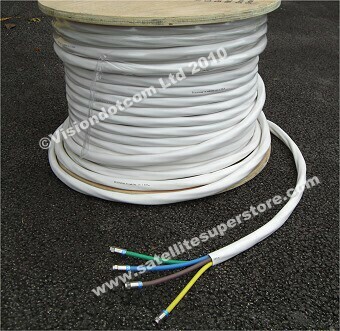 2 to 4 LNBs are also needed and a 2-way or 4-way Diseqc switch. For 3 degrees apart use 2 - 4 Inverto narrow feed LNBs.